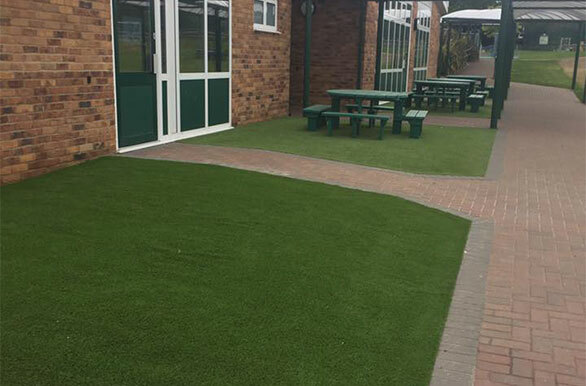 Perfect Grass provides artificial grass supply and installation services to businesses, schools and households in a variety of counties in the South East of England. Our services range from simple front and back garden artificial grass lawn installations for households to larger, more complex installations for school play areas. In the Uk we are the sole distributor for The Rectory, The Meadow, The Outfield, The Heath, The Grange and The Golf artificial grass products. Whether it is a grass for a playground with high footfall or a grass that just looks great we have one for all your requirements. Our grasses are some of the most realistic available on the market. 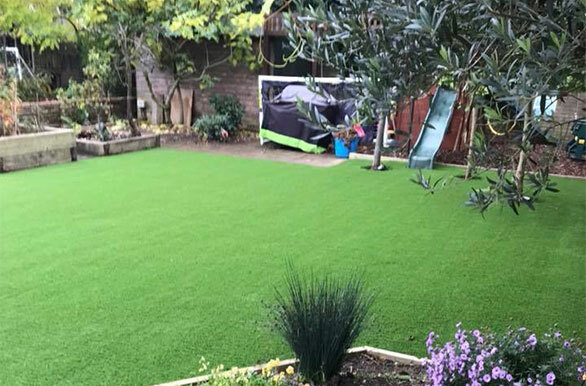 Our expert team of artificial grass fitters have a vast amount of experience in preparing the groundworks on which to lay the artificial grass. The skills they have learn’t doing this allow our fake grass products to look great for many years. 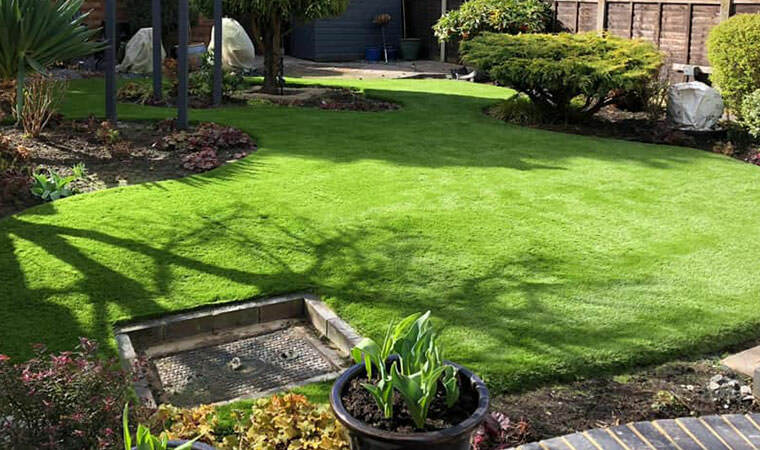 You will see no joins, no uneven grass and the lawn will drain well if you choose Perfect Grass Ltd.
Take a look at our very latest installations either here or on our Facebook page. You can see how we have transformed hundreds of garden lawns, schools and business areas. 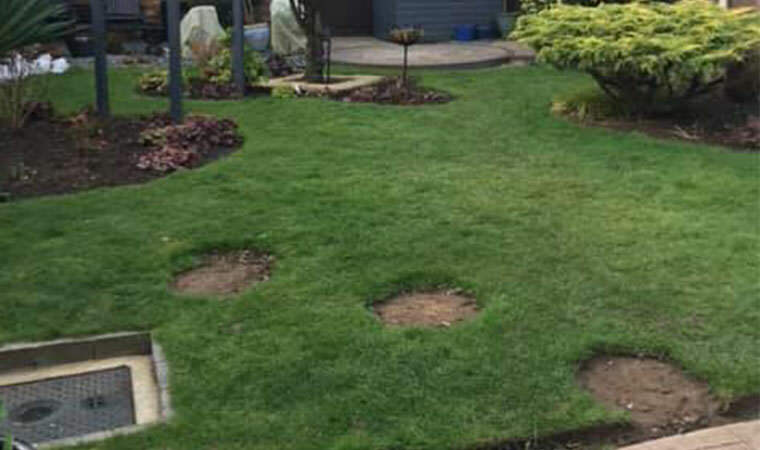 The service we deliver means everything to us and we are constantly looking to offer the latest grasses and the best installation techniques at a reasonable price. It can be very difficult to have a great looking lawn all year round. In the winter months when there is no growth even the best gardener will struggle. With overhanging trees blocking out light or a drought in the summer that vision of a lush green lawn quickly becomes unattainable. Front garden lawns can be very difficult to maintain. Often you may need to carry the lawn mower through the house to even reach it. That is why artificial grass is a great to choice to not only present a good first impression to your property but it is easy to look after. Fed up with the dogs digging up your lawn and bringing their muddy feet into your clean house? 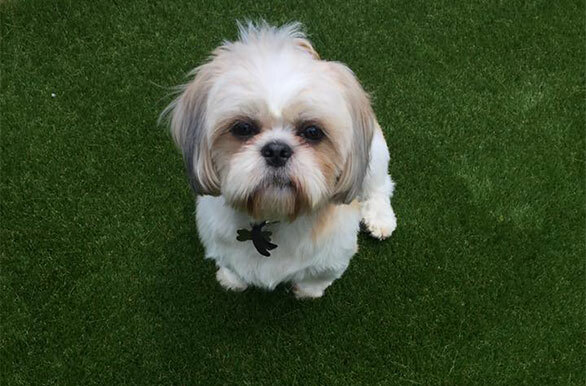 Our pet friendly range of grasses are free from toxins, drain well and are easy to clean. Because of the way we fit our grass they are also very difficult for the dog to dig up. More and more schools and nurseries are turning to artificial grass to use in the playground. It prevents the kids getting dirty and provides a good cushion for any trips and falls. Laid well it will last for many years. 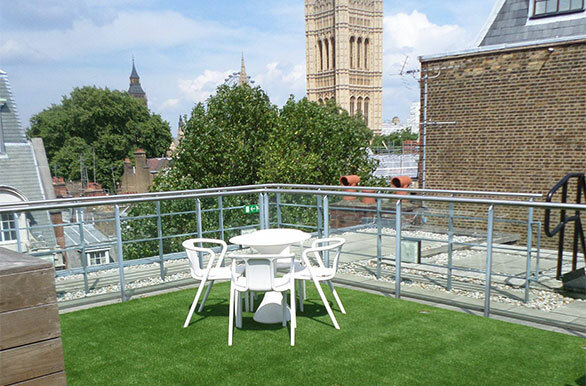 Lots of properties in and around London have access to a balcony, terrace or roofgarden. The one thing in common is that they are generally uninviting places. A quick and easy way to bring some colour is to add artificial grass. 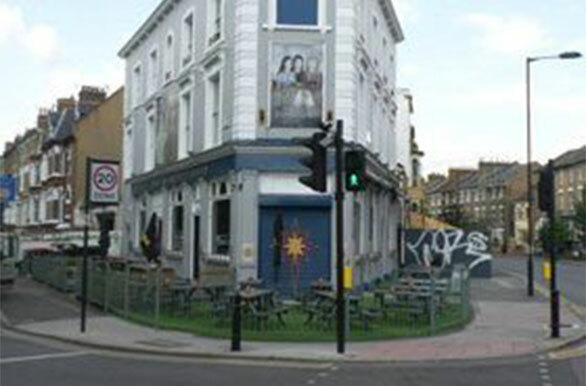 Artificial grass can be used for many purposes in a business environment. It can be used as a funky carpet in the office, a flooring in the staff area or as a way to brighten up an exhibition stand. 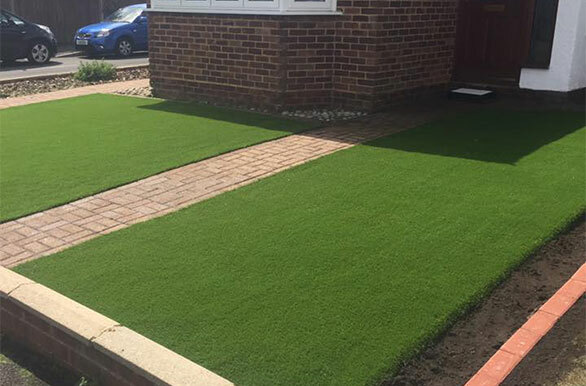 This installation in Ditton, Kent really does highlight what Perfect Grass Ltd is all about; Great quality workmanship that we won’t skimp on even if it means we won’t have the lowest price on the market. 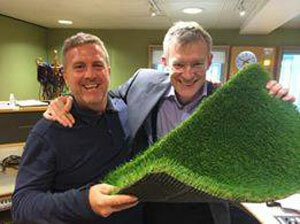 Gavin was asked by BBC Radio 2 to speak on Jeremy Vine’s show about artificial grass. His knowledge and expertise on this subject are highlighted in this radio show. Had Perfect Grass in to solve a lifelong problem with our garden as we were replacing the lawn every two years due to shade problems. We had their grass system fitted and bingo a lovely looking manicured lawn guaranteed, happy days can highly recommend these guys. After 2 days, my garden is now evergreen! Gavin gave me a clear quotation and was able to get the work done before new years. Very happy with the result! Thank you Perfect Grass.